The keto diet, which is short for the ketogenic diet, is a methodical diet that people are following to lose a significant amount of weight, ultimately getting in better shape while shedding fat faster than they may have been able to beforehand. The diet consists of consuming foods that are healthy yet high in fat while drastically reducing carbohydrate intake. The results are very astonishing, and many people have had great success with reaching their goals because they started following the keto lifestyle. If you want to get started, you are going to need to have a handy keto shopping list available to look at when you make your next trip to the grocery store. If you want to follow this diet, you should avoid certain foods as much as possible. These foods include bread, rolls, pastries, chips, pasta, and other heavy carbohydrates. It is even better to avoid vegetables that contain a lot of carbohydrates. The best thing to do is look for fresh food when you are searching for the different foods you are going to want to have available at home when you need to make a meal for breakfast, lunch, or even dinner. While your shopping list should be much longer than this if you want to stock up your fridge and pantry with all the keto-friendly foods that are available, these are some of the essentials you should make sure you are adding to your cart when you are walking through the aisles of the grocery store. Those following the ketogenic diet should focus more on preparing meaty dishes that are baked or grilled with a side of fresh vegetables. Mashed potatoes and pasta should be avoided because they are carbohydrates, but they may be replaced with several fantastic alternatives, such as spaghetti squash or cauliflower mashed. Some grocery stores have specialty aisles that offer different food options for this diet. Some of those options include zero carb bread, wonder noodles, and tasty fat bombs that are the perfect treat to eat during the day. 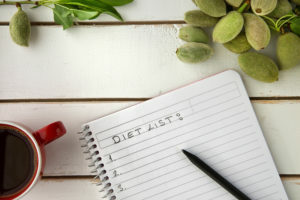 If you want to follow the ketogenic diet because you want to lose several pounds and are hoping to have the same success that others have had while following this diet, you need to create a shopping list of all the different groceries you are going to need to follow this new way of eating. It helps to get rid of all the junk food and carb-heavy foods that you have in the home so that you can avoid the temptation of eating them and cheating on the diet you are trying to strictly follow.